Everyone does it, and its hard to point fingers especially when I am guilt of it too. I have to ask this though – Are you driving drowsy? After some thought on the subject it got me wondering…would a new mattress help you sleep better? We all know the dangerous affects of drowsy driving. Drowsy driving is the cause of thousands of automobile crashes each year. Many times, these crashes are fatal. The National Sleep Foundation conducted a poll in 2002 and said the following concerning drowsy driving. These are shocking figures. More needs to be done to teach people the affects of drowsy driving. The solution can start with you. You can help minimize the number of crashes each year caused from drowsy driving. Here’s where your mattress comes into play. How long has it been since you replaced your mattress? Does it continue to provide the comfort and support that you need? Or, do you find yourself tossing and turning every night? Do you wake up feeling restless and sluggish? It may be time to replace your mattress. In order to stay safe on the road, it is critical that you take a careful evaluation of the quality of sleep you are getting. Especially if you commute a long distance to work or school, you must make sure that you are getting enough sleep. It isn’t just about the number of hours you are sleeping either. Your quality of sleep is just as important of your quantity of sleep. If you want to help make a difference in the fight against drowsy driving, carefully consider if you need to replace your mattress. This story we brought you yesterday about custom made memory foam Mattresses for a pair of Victorian Beds only gets better… We contacted Annette to let her know we had made a blog post using her furniture and mattresses and she responded with an offer to take “after shots” and to send in a testimonial. So here is Annette’s description of the RMM Custom Mattress experience and some beautiful pictures of the her new Victorian mattress sitting in her elegant Victorian bed frame. I found Rocky Mountain Mattress through a search engine on the web and after navigating their site, I sent an email inquiring about their services. Within a half-hour, I had received a phone call from Dave informing me about their products and capabilities. I was very impressed with that response as I had sent emails to a few others online at that same time and still have never heard back from them. I had purchased two Victorian beds and my standard twin mattresses wouldn’t even come close to fitting them. We discussed on the phone and then I made some measurements based on Dave’s instruction. He and Andrew worked with me over the next day or so in getting the measurements just right and then sent me a blueprint to approve. I still had questions at that point and they carefully and patiently answered them and sent me an updated blueprint based on my concerns. My mattresses arrived and they fit perfectly into the Victorian frames. They are extremely comfortable and even better than I had envisioned. Thanks to Rocky Mountain Mattress, Dave and Andrew and the entire team that designed, made and had delivered my custom mattresses and all within two weeks from start to finish. I couldn’t be more impressed and pleased. For those of you who wonder how it is that we can custom make a mattress that will fit just perfect in your RV, antique bed frame, or yacht, here is a description (with pictures!) of that process from start to finish. It begins when you contact us with measurements and possibly pictures of your custom furniture or space (see figures 1 and 2 below). We will then quote you both a price and timeline for creating the mattress to fit your needs. If you decide to move forward with a purchase we will send you a RMM Custom Mattress Blueprint (see figure 3 below) based off of the information you have provided to us. If our blueprint is not quite right, we go back to the drawing board (literally). Once you approve the blue print, manufacturing time is typically one week. At the end of the week, we load your new, built to specification, mattress onto a delivery truck and within 2 to 5 days the mattress arrives at your house looking like this! (See images 4 through 5 below). The pictures you see here are of a custom mattress we recently made for an antique bed frame, which has rounded corners on all four ends. We actually made a pair of these custom mattresses for her matching antique Victorian bed frames. You can see the bed frame, blueprint, and finished product below. To receive additional information on custom mattresses please complete our custom mattress form http://www.rockymountainmattress.com/blog/custom-mattress-tool or email us at info@rockymountainmattress.com or call 1-866-733-3132. The mattress with an angled corner is a memory foam mattress comparable to our 10″ Sundance Memory Foam Mattress. The folded mattress is actually made from all natural latex. These are just two examples of the many custom mattresses made by Rocky Mountain Mattress each week. This message is being posted because I recently had the privilege to use Rocky Mountain Mattress as my source for an adjustable bed purchase. I have shopped the Internet for the last 10 years and only on rare occasions do you find a company that not only fulfills your purchase with the quality products you expect. Not only did Rocky Mountain Mattress delivery two beautiful Leggett & Platt S Cape adjustable beds, but they also did this quicker than expected. If you are on the fence about using Rocky Mountain Mattress, I recommend their company and products highly. My sales rep, Andrew was very helpful in and made me feel very comfortable with my decision. 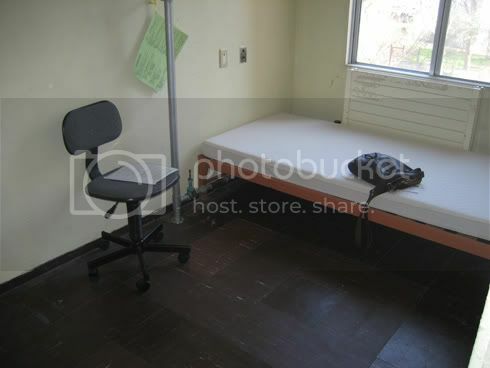 I have slept on a dorm mattress, and I know many of you have as well, or are currently sleeping on one of those uncomfortable dorm beds. So, how to make your college dorm mattress better? Its very simple…get a mattress topper from Rocky Mountain Mattress. You have the options of memory foam toppers, or all natural latex toppers and both are very affordable. Tell me … Does this look comfortable to you? You’ll always remember your college days. You’ll remember staying up late to cram for that last final, eating way too much and gaining the dreaded “Freshman 15”, the movies, dates, etc. One thing you probably don’t want to remember is how bad your dorm mattress was. College memories don’t include a lot of sleep time, but sleep is one thing you can’t live without in college. You need to make sure you get a good night’s sleep; sleep beyond what your dorm mattress offers. Find the perfect mattress topper at Rocky Mountain Mattress. Rocky Mountain Mattress offers a variety of mattress toppers that can make your life so much better. Mattress toppers are the perfect way to ensure a good night’s rest, without having to worry about the added expense and hassle of buying a completely new mattress. Plus, dorm rooms are anything from roomy. You basically only have room to bring the essentials to college. Make sure a mattress topper from Rocky Mountain Mattress is the first essential thing you bring. Mattress toppers come in many different sizes, materials and prices. RMM offers toppers ranging from 3 pounds to 8 pounds. Three pound toppers are thinner than 8 pound toppers. If your dorm mattress needs some serious help, you might want to choose an 8 pound mattress topper because it will provide more support than a 3 pound topper will. You can also choose your topper according to personal preference. If you prefer a firmer mattress, you’ll enjoy the medium firm Natural Laytex Topper. If you sleep better on a softer surface, go with the medium plush Natural Laytex Topper. These are also extremely cost effective, starting at only $104.95. Rocky Mountain Mattress has the perfect toppers to make your college dorm mattress a quality sleeping surface. Although you probably won’t be spending a ton of time sleeping, you’ll want to make sure that the sleep you get is a good sleep. You’ll get a wonderful night’s rest when you choose a mattress topper from Rocky Mountain Mattress. Being in the mattress industry the most common comment we get is that people can’t sleep all through the night. The think it might be their mattress, and for many it is, but here are some other tips to stay asleep all night long. Millions of people across the country are battling different issues with sleep disorders. Sleep disorders are becoming more and more common. Some people can’t fall asleep. Others can’t wake up. Still, other people can’t stay asleep all night long. If you find yourself constantly waking up at night, follow these simple tips to stay asleep all night long. It all starts with your mattress. If you are sleeping on an old mattress that isn’t providing the comfort and support that your body needs, of course you aren’t going to stay asleep all night long. You could even be sleeping on a new mattress that just isn’t quite right for you. You need to carefully select a mattress that gives you a good night’s rest. When buying a new mattress, make sure there is a return policy and in-home trial period. This way, you can try different mattresses and return the ones that don’t work for you. Relax, Relax, Relax. Before going to bed each night, try to take a few minutes to relax. Don’t watch T.V. or play on the computer. The bright lights will stimulate your brain enough that you won’t be able to stay asleep as long. Try reading a book or magazine or doing something else relaxing. Don’t use a Night Light. Contrary to what your brain might tell you, keep your room dark while you are sleeping. Darkness promotes sleep in a natural way. Believe it or not, keeping it dark is one of the best ways to stay asleep all night long. Have you ever heard of white noise? By definition, white noise is a random signal with a flat power spectral density. If you wake up to every tiny noise at night, you might want to consider using white noise. White noise can be a fan, humidifier or sounds machine. White noise is intended to block out outside noises and help you relax while sleeping. Once you start using white noise, you probably won’t ever be able to sleep without it. you should be able to sleep through the night. And guess what? You deserve it. Get the rest you deserve by following these simple tips. Here is another questions we get quite often here at Rocky Mountain Mattress – What’s the maximum weight capacity of the adjustable frames we sell? 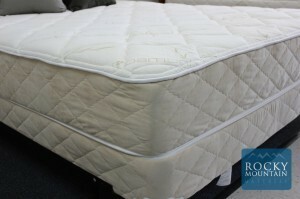 Rocky Mountain Mattress is your one stop shopping center for excellent products at great prices. We offer mattresses, mattress toppers, custom mattresses, accessories and adjustable beds. If you are looking for a top quality adjustable bed, look no further than Rocky Mountain Mattress. We offer two adjustable beds that fit the needs of most people. We offer the ProMotion Adjustable Bed and the S-Cape Adjustable Bed. The ProMotion bed has numerous adjustments to provide support your head, neck, back (both upper and lower), hips, legs and feet. It comes with several features that allow it to be a complete relaxation center. It also offers a durable steel frame, ergonomic remote control, lift motors and seven inch leg height. The S-Cape Adjustable bed offers more options for a slightly higher price. Like the ProMotion, it offers superior wall hugger capacity. It also offers a three position memory recall, 30 minute massage time, memory massage recall, one touch Neurosage massage, and more. The ProMotion bed compares to a Chevy, while the S-Cape is more luxurious, like a Lexus or Acura. Both beds offer reasonable maximum weight capacities. The maximum weight capacity depends on the size mattress used in each adjustable bed. Below are the weight capacities for each bed. If you are looking for a great adjustable bed, check out the ProMotion Adjustable Bed and the S-Cape Adjustable Bed bed from Rocky Mountain Mattress. You won’t be disappointed. I get asked this question quite frequently so I wanted to answer it in a blog post to help others that may have this same question: How long should I sleep on a new mattress before I know it’s not right for me? Anytime you get something new, it takes time to adjust for example; shoes. You don’t just put on a new pair of shoes and have them all of a sudden feel broke in? It takes time. If you have been sleeping most of your life on a spring mattress, moving to a memory foam bed, or a latex bed for some people could take time. Others jump in and wonder why they waited so long. Buying a mattress is a big decision. It takes time to know whether a new mattress is right for you. The mattress that seemed perfect in the store may be causing you neck or back pain at home. Luckily, mattress retailers take this into consideration. They realize that it takes time to know what mattress is right for you. Most mattress retailers offer an in-home trial period. Often times, this trial period is free of charge. You are free to try your mattress for this period and decide if it will work or not. If the mattress isn’t quite right, you can return it. Make sure you know what the return policy is so you can take the “bad” mattress back and pick a new one, if needed. Many return policies are the same. You must return the mattress in the original box with the original instructions and warranty card. There cannot be any stains or soiled parts either. You may be charged a restocking fee and you must have the original receipt. Make sure you are familiar with the store’s return policy before doing anything with your mattress. After you become familiar with the return policy (just in case), begin sleeping on your new mattress. Take a careful assessment of how you sleep and how you feel when you wake up. Be aware that a bad nights rest could be caused from the mattress. Also keep in mind that it take a few weeks for your body to adjust to the new mattress. If you really feel that the new mattress isn’t giving you the support and comfort you need, take it back and try again. When you are shopping for a new mattress, be familiar with the return policy. Make sure the store offers a free in-home trial period. You’d hate buying an uncomfortable mattress, only to find out that you can’t return it. Buying a new mattress is an important decision, so make sure you are an informed shopper. It is a subject that affects everyone who is living – sleeping. I have been asked so many times about what mattress helps people sleep better, and fall asleep faster. Here are 6 Tips to that can help anyone fall asleep faster, and its not always going to include buying a mattress. We have all had those nights where we toss and turn for hours on end. For some of us, this is a nightly event. We wake up feeling miserable and unable to perform our different functions each day. If you lie awake at night and can’t fall asleep, follow these simple tips. 1. Find a routine. There is a reason that parents establish a routine for their babies and young children. Routines help you fall asleep and stay asleep. Your body adjusts to a normal schedule and gets to the point where it knows what to expect (like when to get tired and fall asleep). 2. Bubble Bath. If you still feel wound-up, try taking a bath. You can make it as long or as short as you’d like, but make sure you feel relaxed when you get out. This will go a long way to help you fall asleep fast. 3. Soothing sounds. Try falling asleep to calm, soothing sounds. These can include sounds from nature, soft music, or animal noises. Make sure the sounds aren’t too loud, but simply help you relax. 4. No T.V. or bright lights. Don’t watch T.V. or play on the computer for at least 30 minutes before going to bed. These bright lights stimulate the brain and prevent you from falling asleep quickly. 5. Got Milk? Drink a glass of milk before going to bed. It contains the amino acid Tryptophan, which increases serotonin and melatonin levels. These help slow down your brain activity which helps you fall asleep. 6. Don’t exercise late at night. Exercising at night wakes up your body instead of helping it wind down. Rather, exercise during the day. When you exercise during the day, you will wear out your muscles enough that you can count on a solid night’s sleep. Don’t let yourself be sleep deprived for the rest of your life. Follow these steps to help you fall asleep fast. Don’t toss and turn all night long, just waiting to fall asleep. Take control of your sleeping habits and fall asleep fast.